The end of August and beginning of September is always a busy time of year at Baltimore, but also one of the most rewarding! At the end of August, we were privileged to be able to celebrate the incredible work of #BCorpsCohort4 as they closed out their Fellowship year, and just a few weeks later, we welcomed our 5th cohort of Fellows. Five years in, it is so rewarding to see not only the impact our network has had through the matching of talent to opportunity in Baltimore's social sector, but also the many ways in which our network continues to grow and expand, connecting for change here in our city that we know to be the "best place in the world to change the world." As we've been gathering stories during this anniversary year, it's incredible to hear the many ways in which our network members connect personally and professionally. 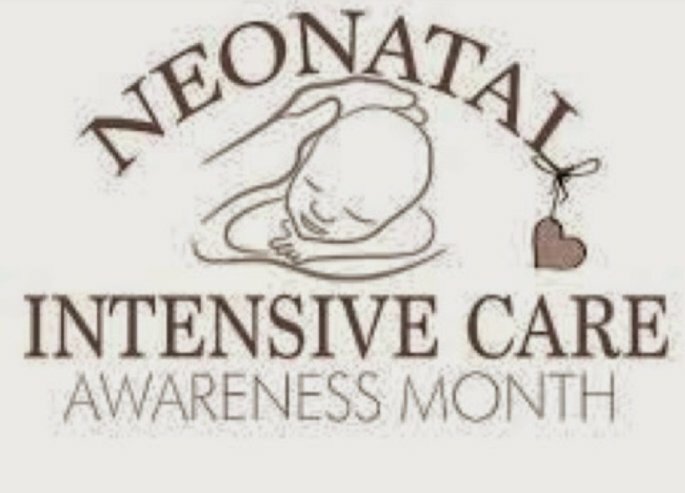 We hope you will share your story, and come celebrate with us during the week of October 15-19. Look out for network stories in the weeks to come, and be sure to RSVP to the week's events using the links below. Saturday, September 22; 1:00-3:00 p.m.
Groups including Black Girls Vote, The No Boundaries Coalition, The People's Climate Movement, Southwest Partnership, and more are coming together to help prepare for the upcoming elections by sharing Get-Out-the-Vote (GOTV) plans and how you can get involved. Saturday, September 22; 7:00-10:00 p.m.
theSPOT, a networking opportunity organized by Cohort 4 Fellow Eboni Wiggins, is geared toward helping artists and entrepreneurs connect with resources that will help the development of their businesses and provide opportunities to network and showcase their expertise. Resources offered include business and nonprofit management tools; public school engagement advice; business and artist showcase; and community marketplace. Several Baltimore Corps alumni will present as part of a showcase: Madalena Henning (Civic Engagement Program, Bard HS); Eean Logan (#BaltimoreVotes); and Melanie Shimano (Food Computer Program). Friday, September 28; 5:30-7:00 p.m. The 2019 Echoing Green Fellowship application cycle will run from October 9-30. Join us for this free event to learn about Fellowship criteria, meet local Echoing Green Fellows, and network with other guests who are committed to accelerating social impact in Baltimore. 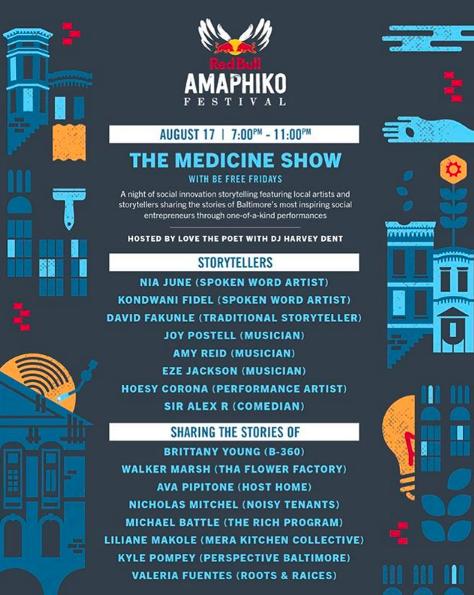 On August 17, the Baltimore Corps network was well-represented at Red Bull Amaphiko's The Medicine Show, hosted by 2016-17 Elevation Awardee Michelle Antoinette Brown and featuring the stories of 2016-17 Elevation Awardee Brittany Young, 2017-18 Elevation Awardee Liliane Makole, and Cohort 4 Fellow Nicholas Mitchel, as well as the storytelling of Cohort 3 Fellow David Fakunle. On August 27, 2016-17 Elevation Awardee Brittany Young and Cohort 5 Fellow Nicholas Mitchel were featured in a Teen Vogue article. 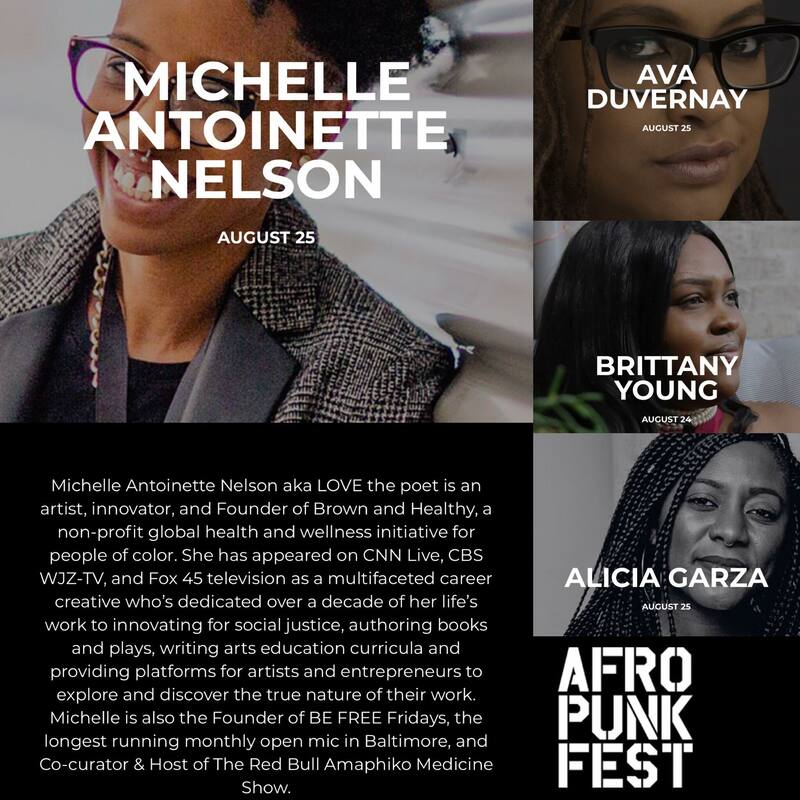 On August 24, 2016-17 Elevation Awardees Michelle Antoinette Brown and Brittany Young were featured in Solution Sessions at AFROPUNK FEST in Brooklyn, NY. On August 24, we celebrated the end of the Fellowship year with Cohort 4 Fellows and their Visionary Cause Leaders. On August 12, 2017-18 Elevation Awardee Ana Rodney led yoga from the culture stage at Baltimore's Afram. Baltimore Children and Youth Fund announced their latest round of grant awards, including Elevation Awards programs Unique Fabrics and Fight Blight Bmore. Congratulations to all the grants awards recipients, many of whom are a part of Baltimore Corps' extended network of Visionary Cause Leaders, employer partners, and more!